Large breed dog toys set “High Level of Courage” consists of three bite tugs made of fire hose. This material is strong, wear-resistant and safe. 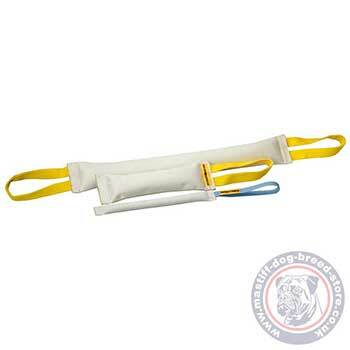 Fire hose dog tugs are stuffed with flexible fabric friendly to dogs’ teeth. 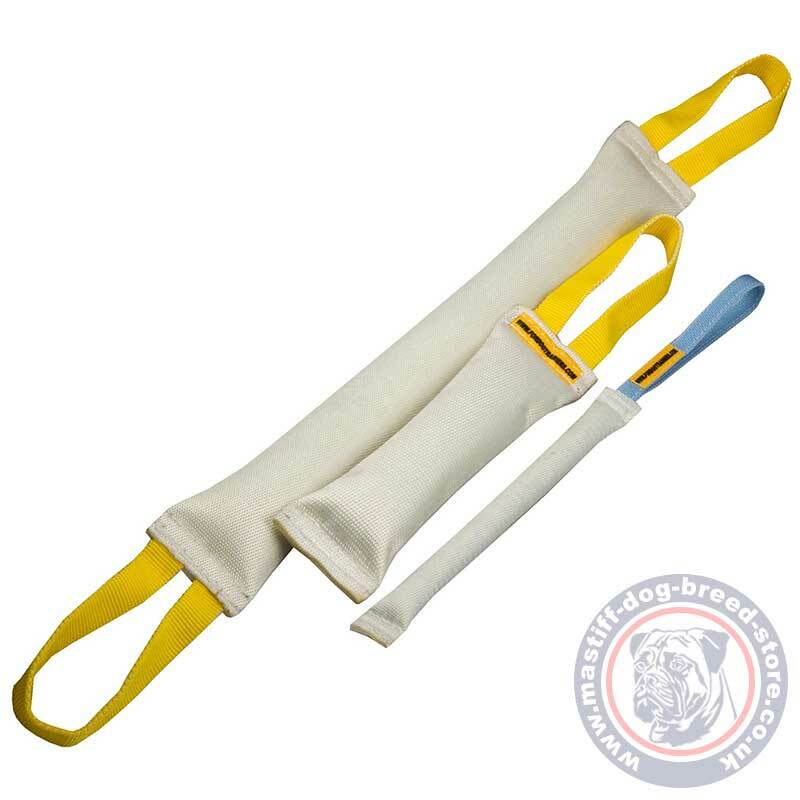 All the three dog toys are equipped with durable and convenient for usage handles. This set of fire hose dog tugs finds usage in arousing dog’s drive, motivation and interest, everyday games, teaching new command and dog bite work. Large breed dog toys are perfect products for English Mastiff training and other mastiff dog breeds. Large breed dog toys “High Level of Courage” are a set of efficient and practical items for puppies and big dogs development and keeping fit. Bying these large breed dog toys in a set you save more than 20% !